Supreme Cleaning (Kent) Ltd are a team of professional, reliable commercial cleaners who specialise in the provision of commercial window, floor and carpet cleaning services to businesses of all sizes in Thurrock. We have many years’ experience and a strong reputation for providing a high-quality cleaning service. We are insured and all of our operatives are fully trained and reference checked. You can expect a high quality, consistent and reliable level of service at all times. Whether you require first-class cleaning services for your office, shop or company branch, or you have a sports or entertainment venue that needs extra attention, Supreme Cleaning are here to help. We offer a number of different commercial and deep cleaning services designed to suit your business needs. Whether you require one cleaner at a single location or a team of cleaners at several locations, Supreme Cleaning can provide a bespoke cleaning service to suit all of your window, floor and carpet cleaning needs. Supreme Cleaning Ltd are a team of competent, professional commercial cleaners who specialise in the provision of daily contract cleaning jobs at surgeries, schools, offices, sports clubs and entertainment venues across Thurrock and the whole of the South East. We have many years experience as a company and have a team of specialist operatives on board who possess all the skills required to ensure your commercial premises is spotless in time for the next working day. We are fully insured and reference checked, so you can rest assured that we will deliver a consistent and reliable daily contract cleaning service every time. Offices and other commercial facilities benefit regularly from our contract cleaning services and we have worked for businesses and industries of all kinds in the past. We do everything we can to ensure corridors, cloakrooms, offices, kitchen facilities and lifts are in the best possible condition so that you can make an excellent first impression on visitors and customers alike. Our service level agreement ensures that we provide 100% reliability throughout the cleaning job and that your employees are provided with a safe working environment throughout the year. The importance of a clean and hygienic educational environment for children is absolutely vital, so we provide a daily contract cleaning service for schools and colleges in Thurrock and its surrounding areas. 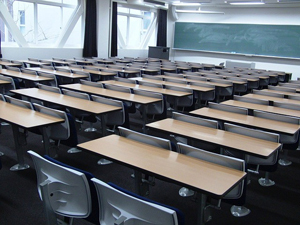 We feel strongly about providing children with the ideal working environment so that they can further their educational development and avoid potentially harmful bacteria that can potentially spread rapidly throughout schools and colleges. We use specialist, non-toxic cleaning products to restrict the spread of germs and subsequently improve school attendance rates for students. 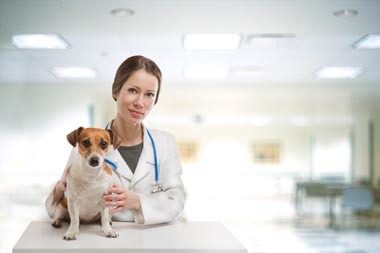 In recent years Supreme Cleaning Ltd has undertaken many contract cleaning jobs at veterinary surgeries across the South East, so we would be delighted to provide for surgeries in Thurrock and its surrounding areas. Hygiene and cleanliness is paramount in any surgery, yet practice managers are often left pressurised by the demands of such specialist cleaning requirements. Supreme Cleaning Ltd are here to help, with specialist cleaning products capable of killing harmful bacteria and creating a safe environment for members of staff, visitors and pets. Our services are widely relied upon at social and sporting venues across the South East and in Thurrock. We help golf clubs, concert halls, Masonic lodges and many other venues create a hugely positive first impression on guests and visitors during both large and small events and celebrations. Our high level of service is maintained at all times throughout our daily contract cleaning services to ensure a spotless venue every time. To find out more about our specialist contract cleaning services in Thurrock, contact us on 01322 384500 or fill out the form provided below for a free no-obligation quote.